C. Priest, D. Jamison, K. Copeland, D. Doren, Y. Payne, T. Fair, D. Chambers, G. Watson, D. McGriff. (RJP) is a research initiative that brings together experts from the University of Delaware's College of Arts and Science, Department of Sociology and Criminal Justice, School of Public Policy and Administration, Legal Studies and the Center for Drug and Health Studies to examine policy-related questions on race and justice facing communities and residents in the State of Delaware. Through leadership and collaboration with state and local agencies, the RJP initiative conducts research with the goal of producing nationally recognized research and providing leadership on race and justice issues. The RJP also examines issues of race, inequality and social justice though: course offering by affiliated faculty, workshops and/or speaker series with participation from policy leaders, and community engagement and partnership activities through internships, which allows students to get direct experience with key state and local agencies. The mission of the RJP is to utilize strategic social science research methodologies to assist government agencies, educational institutions, and community stakeholders in the development of policy changes to advance the cause of social justice and address racial disparities. RJP research initiative was founded on the premise that academic institutions can work with communities to provide rigorous and objective information that can be used to influence policy changes. 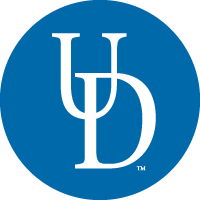 At the University of Delaware, The RJP initiative provides a unique opportunity—through research and learning—to bring students and faculty together with policy makers and justice leaders around the common interest areas of social justice and race.